Let’s face it there are not enough hours in the day. Between work, chores, food, kids, pets, and all the other responsibilities that plague the average adult, it is amazing that anyone has the time to do anything for the sheer pleasure of it. Maybe you squeeze in time at the gym? Maybe you cook a good meal once and awhile? But when was the last time you were able to totally lose yourself in a good book? Friends, I am here to let you in on a little secret. Her name is Libby and she is a game changer. Libby (developed by Overdrive) is an app for your phone or tablet which allows you to download eBooks and audio books FOR FREE!! What this means is your morning commute, run at the gym, or waiting for an appointment are all opportunities for a little literary pick-me-up. Hear me out. Maybe you haven’t read or listened to a book in years. Maybe you are unsure if you would like an audio book? Believe me when I say that Libby makes it so easy! 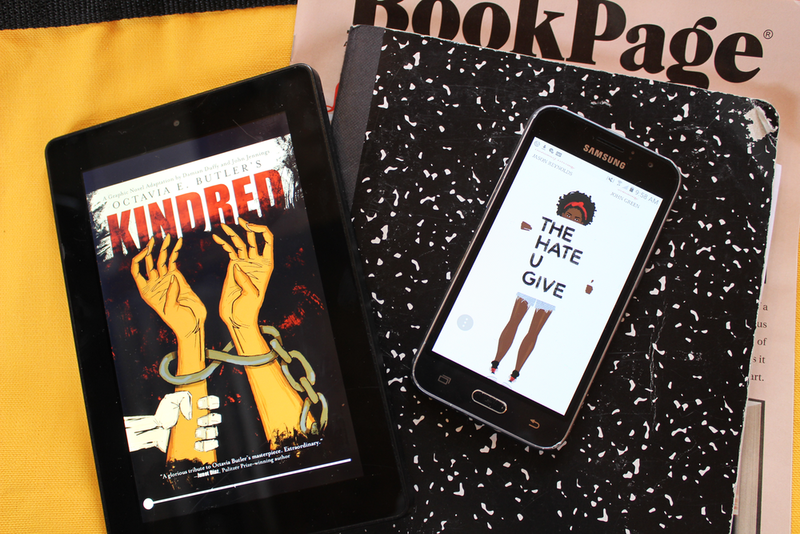 It takes two seconds to add this app to your phone, and the variety of books is worth it. Also, Libby can give you recommendations based on what you like! I suffer from insomnia so being able to turn on my phone at 3 am and have access to hundreds of titles is just awesome. I have read so many more books since downloading the Libby App! For example, recently I was having a horribly stressful day but still had to face the grocery store because…life. On a whim, I decided to bring my headphones with me into the store. It seemed a little strange to change my routine but I turned to Libby while I perused the aisles. The book I chose to listen to was David Sedaris’s most recent Calypso. After about five minutes of listening, I was giggling among the produce, then smiling broadly while choosing yogurt. Thanks to an audio book my mundane task turned into something really fun!! Libby was developed for people that don’t have time and chances are you are one of those people. Heck, if you have had time to read this whole article I am impressed! Thanks for that!! In all seriousness though, I feel so much better when I have the opportunity to enjoy literature and since Libby has so many best sellers and old favorites I am spending a lot of time with her. 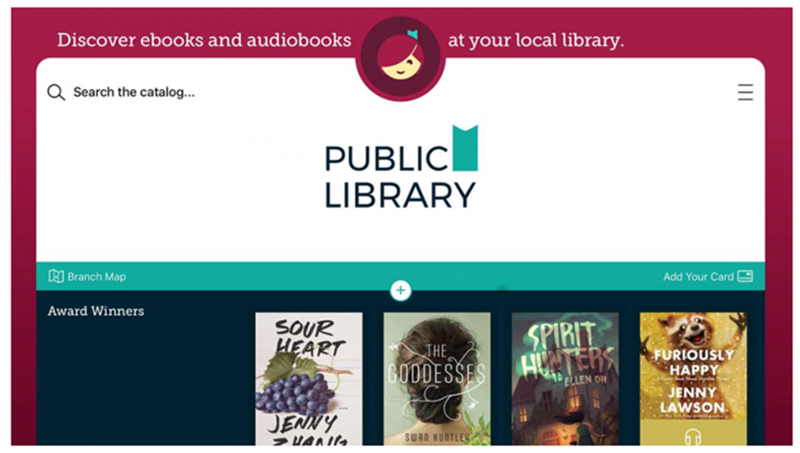 If you are interested in Libby, grab your phone (or tablet) and your library card. If you don’t have a library card go get one! It takes all of five minutes and then you can join the club! All the cool kids have a library card. Come hang out with us! 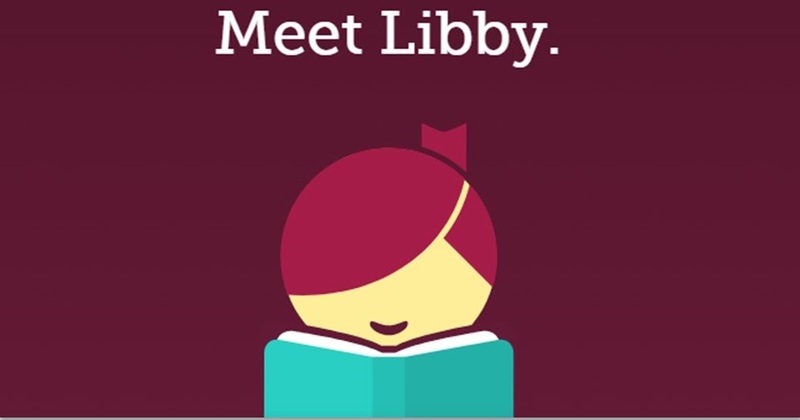 Once your library card is acquired you can Google “Libby App” or search for her in your app store. Download the Libby App and then start browsing! With Libby, you can rate books to give her a sense of what types of books you enjoy. You can log your preferences making it easy for her to recommend books you might like. You can borrow up to 10 books at a time, and once the allotted borrowing time is up the book will vanish! You do not need to return anything and there are no fees. This service is 100 percent free and so, so, so fun! I would love to hear how you are using the Libby App and other digital resources at the library. Don’t forget to join The Library Hop on Instagram @thelibraryhop . I love engaging with my followers and getting lots of book recommendations. Come hang out!